Microsoft's new flagship console, code-named "Project Scorpio" and long-awaited by fans, has been revealed at this year's E3 as the Xbox One X. One reason Project Scorpio is a big deal is that it's the first console allegedly capable of 4K-gaming at 60 frames per second — at least, that's what Microsoft says. While consoles have been capable of playing 4K video for a while, playing 4k games at 60 FPS is no easy task — even for beefier gaming desktops. 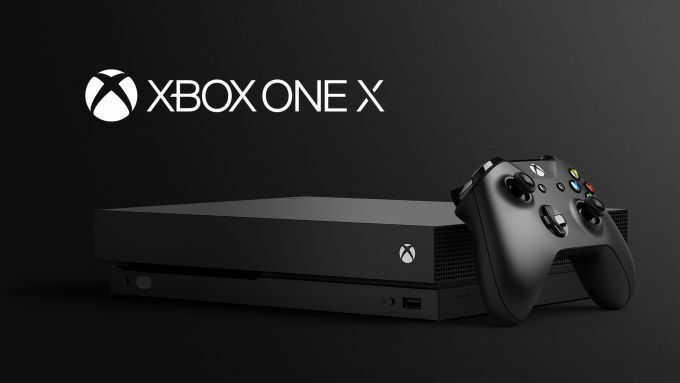 Thus, you can be sure that the Xbox One X has to pack some impressive specifications for a console, namely an AMD octa-core 2.3 GHz processor, a 40-core GPU capable of 6 TFLOPS, and 12GB GDDR5 RAM. The system also has native HDR support and a Blu-ray drive ready for 4K video. The storage options start at 1TB for the cheapest model — which is still by no means cheap at US$499. The system is slated to ship November 7. Click the press release below to see more details on launch titles. More details about Xbox One, Xbox One games and the latest Xbox news at Xbox E3 2017 Briefing can be found at https://news.xbox.com.